Bharti Airtel is working with Ericsson to expand its VoLTE services in India. The agreement will result in deployment of the Ericsson Cloud VoLTE solution, an industrialized solution to deliver VoLTE services onto a customer data center. Financial terms were not disclosed. Randeep Sekhon, CTO, Bharti Airtel, says: "We remain committed to building a state-of-the-art future-ready network as part of our network transformation program - Project Leap - and deliver best-in-class digital experience to our smartphone customers. This partnership with Ericsson will allow us to rapidly increase VoLTE capacity to serve our growing traffic, and make our network prepared to easily introduce new communication services today and in 5G." China Unicom will deploy a cloud-native core network based on Nokia's AirGile technology to enable the delivery of Voice-over-LTE (VoLTE) and Voice-over-Wi-Fi (VoWiFi), and lay the foundations for the future evolution to 5G. The installation will occur in seven Chinese provinces: Sichuan, Inner Mongolia, Jilin, Hainan, Yunnan, Gansu and Hunan. Financial terms were not disclosed. The deployment of the Nokia cloud-native core network also enables new services such as 'one-number, multi-devices'. The network will include Nokia AirGile cloud-native core technologies as well as the Nokia AirFrame data center, NetAct, CloudBand and Session Border Controller. Nokia will also act as a product and systems integrator. In 2017 Nokia and China Unicom began interoperability with other vendors' equipment, enabling China Unicom to be the first operator to deploy a three-layer decoupled network architecture using network functions virtualization to decouple hardware and software and ensure flexibility allowing each network layer to evolve independently. Gao Bo, head of the China Unicom customer business team at Nokia Shanghai Bell said: "Nokia has the breadth of technology and services expertise to provide an end-to-end cloud native core for China Unicom. The network will deliver new capabilities and allow China Unicom to accelerate the launch of new services, while new agility will help enable a smooth transition toward 5G in the future." ZTE announced that it has signed an agreement with Banglalink, a leading digital communications service providers in Bangladesh, to build what is believed will be the largest virtual Subscriber Data Management (vSDM) platform deployed to date. The transformation project is designed to improve services for the approximately 35 million users of Banglalink's network. Specifically, the vSDM platform will help Banglalink to manage customer data more efficiently, as well as improve service availability. 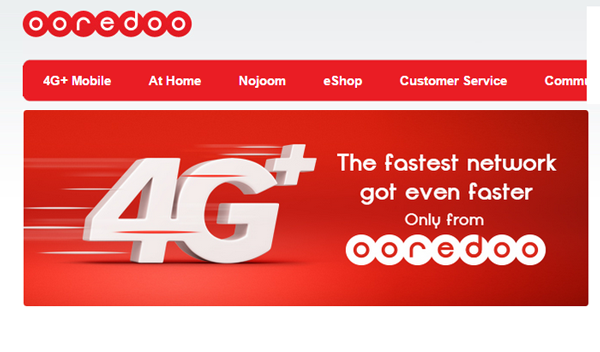 The upgraded network will offer simultaneous support 2G, 3G and 4G, VoWiFi and VoLTE and other advanced services. The virtualised network is designed to provide faster mobile broadband services and enable services such as video chat, multimedia conferencing and multimedia messaging. Banglalink Digital Communications is a company of Telecom Ventures, which is a wholly-owned subsidiary of Global Telecom Holding, owned 51.9% by VEON (formerly known as VimpelCom). VEON, with over 235 million customers, operates in 13 markets, including Russia, Italy, Algeria, Pakistan, Uzbekistan, Kazakhstan, Ukraine, Bangladesh, Kyrgyzstan, Tajikistan, Armenia, Georgia and Laos, under the Beeline, Kyivstar, WIND, Jazz, banglalink and Djezzy brands. On April 20th, ZTE and VEON announced a global framework agreement covering network function virtualisation infrastructure (NFVI) and virtual evolved packet core (vEPC), as a part of which they plan to cooperate on the development of virtualisation technology. Under the agreement, ZTE is to supply the VEON group with NFVI solutions and deploy large-scale NFVI and vEPC networks in a number of countries where VEON operates, including Russia. The cooperation between the companies is intended to promote VEON's wider NFV strategic planning and digitalisation initiative. In January, ZTE and velcom, a major mobile operator in Belarus and part of Telekom Austria Group, announced the migration of the core of velcom's network to a virtualised, 'vCore' platform. Through the project, all legacy core network components, including HLR/HSS, EPC, MSC and PCRF, were migrated to a fully virtualised platform on OpenStack-based NFV and standard hardware. 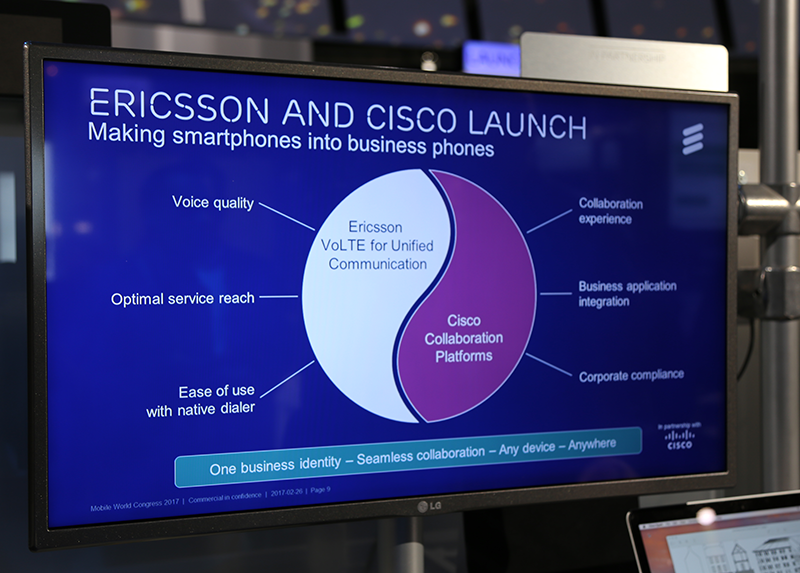 Ericsson and Cisco showcased a joint Collaboration Mobile Convergence (CMC) solution that delivers Cisco Spark collaboration tools over VoLTE. Cisco Spark features like messaging, in-line file sharing, and high-definition video conferencing across multiple devices, can be triggered from a simple call to a mobile number. Calls can also be moved seamlessly between devices, including the newly announced Cisco Spark Board, with a simple swipe. The network ensures seamless handover of voice calls across 2G, 3G, LTE and Wi-Fi accesses. The solution will be available to Service Provider and Enterprise customers by end of calendar year 2017. 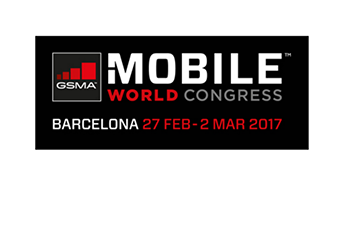 "CMC offers Service Providers a unique competitive advantage to deliver world class business communications services via the mobile phone. 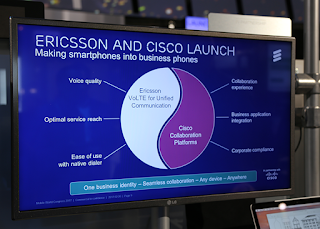 This is a great example of Cisco and Ericsson innovation at work to advance the network of the future and support our mobile lifestyles," stated Yvette Kanouff, senior vice president, general manager, Service Provider Business, Cisco. Tech Mahindra, a leading system integrator for network infrastructure services, and Oracle Communications have partnered to deliver an end-to-end VoLTE-as-a-Managed-Service solution based on Oracle’s IMS Core and Signaling products. The joint solution offers operators the ability to achieve a faster time to market with new VoLTE services, increased voice quality and greater network efficiency while significantly reducing cost and complexity. Tech Mahindra’s VoLTE-as-a-Managed-Service solution, powered by Oracle Communications technology, simplifies the path to an all-IP network by offering a fully virtualized solution that runs on common off the shelf hardware rather than relying on proprietary networking equipment. The companies said a typical service provider with an LTE data network can expect to service its first Oracle-enabled VoLTE call within 3-6 months of deploying the solution, often at significant cost savings compared to traditional vendors and in-house solutions. Netcracker Technology unveiled a next-gen Cloud-Based Online Charging System (OCS) for helping Service Providers transform their billing for the digital world. Always-on availability at a lower cost. A software-based approach reduces hardware dependency, keeps costs down and delivers unparalleled availability and real-time functionality. Cloud elasticity and scalability. OCS supports horizontal and vertical scalability across all layers. Converged revenue management scenarios. 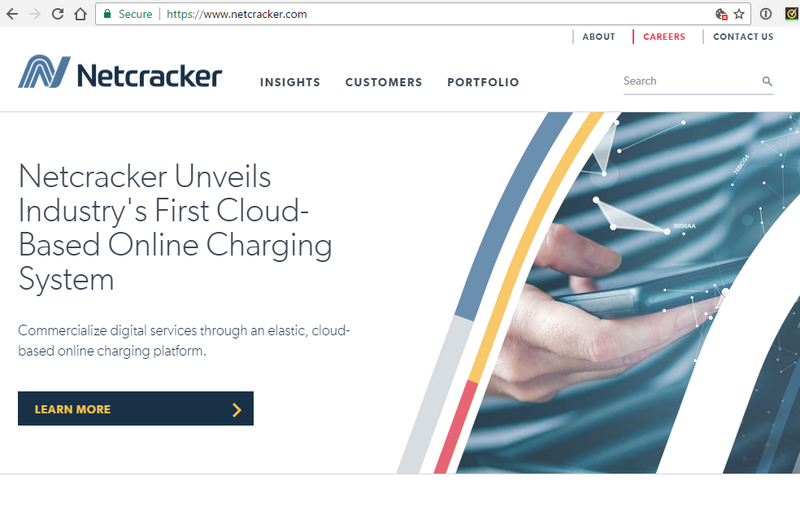 Unlike legacy OCS that focused on specific rating and charging schemes, Netcracker's Cloud-Based OCS enables and supports converged revenue management capabilities across all business lines, including pre-paid and post-paid models for all types of services. It also centralizes storage for all rating, charging, subscriber and policy information onto a single product. This simplified data management and its catalog-driven configurations also means that service providers can lower integration costs and reduce the time it takes to bring new and innovative digital services to market. Support for VoLTE, virtualized, 5G and IoT services. Netcracker's Cloud-Based OCS, with its faster speeds and extremely low latency, creates the ideal platform for service providers to monetize real-time interactive multimedia offerings, such as augmented reality, virtual reality and real-time online games. Deployment flexibility across any physical and virtual environment. Netcracker's Cloud-Based OCS' architecture is designed to be deployed and operated in any environment, including physical, any type of cloud (private, public or hybrid) and virtualized infrastructure. This minimizes the reliance on complex, custom-built hardware and lowers total cost of ownership for service providers. Embedded analytics. Closed-loop alignment with analytics and campaign management enables service providers to deliver the right offer to the right customer at the right time. "Traditional revenue management platforms have not been able to keep pace with the needs of communications service providers as they transform into digital service providers," said Sanjay Mewada, Chief Strategy Officer at Netcracker. "Netcracker has evolved its OCS to address these precise needs. Our Cloud OCS, with its unparalleled elasticity, always-on availability and embedded analytics, removes the barriers to digitalization and allows our customers to rapidly monetize digital offerings, such as VoLTE, 5G, virtualized and IoT services." 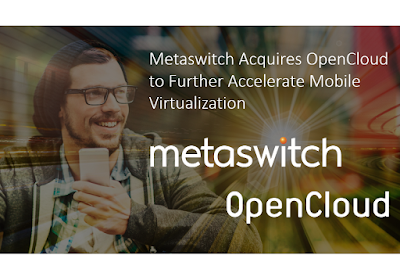 Metaswitch has acquired privately-held OpenCloud, which offers a virtualized service layer that is deployed within SS7 and All-IP networks to accelerate the transition of IN-based mobile voice services to IMS. Financial terms were not disclosed. OpenCloud's Rhino Telecom Application Server (TAS) service layer is currently in use by more than 60 operators worldwide, including multi-national groups (T-Mobile, Vodafone, for example), large operators (Telkomsel – Indonesia), independent operators (Free Mobile – France) and MVNOs (AinaCom – Finland), mobile, wireline and converged operators (BT). The platform offers an extensive set of APIs and SDKs, available from partners through RhinoMarket. OpenCloud is headquartered in Cambridge UK, and has offices in New Zealand, Spain, Singapore, Indonesia and Brazil. Metaswitch said the acquisition enables it to offer global service providers a pure-play software VoLTE solution, adding the market-leading Rhino Telecom Application Server (TAS) to its Clearwater IMS Core and Perimeta SBC. BroadSoft confirmed that its BroadWorks platform is integrated in One Talk by Verizon – the company's VoLTE business communications solution. One Talk delivers advanced business features within the native mobile dialer, BYOD applications for smartphones and tablets, and on state-of-the art desk phones that seamlessly and securely integrate with the Verizon 4G LTE mobile network. “BroadSoft bMobile capabilities are impressive and have been integrated in our custom-built business solution that delivers one service, one experience, one bill and one business number – all backed by America’s largest and fastest 4G LTE network. We believe One Talk is a game changer for businesses of all sizes,” said Mike Lanman, SVP, Enterprise & IoT Products, Product and New Business Development Team, Verizon. 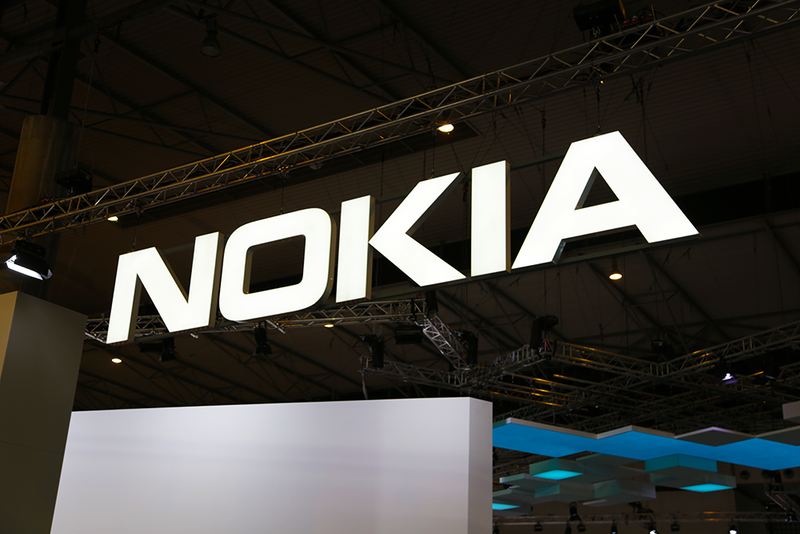 Shanghai Mobile, China Mobile's regional subsidiary, has implemented Nokia's Predictive Optimization technology to quickly deploy high-quality VoLTE service. Nokia has applied its technical and professional services expertise to combine big data collection, storage and processing capabilities to develop an analytics platform monitoring signalling data across the network at all times. 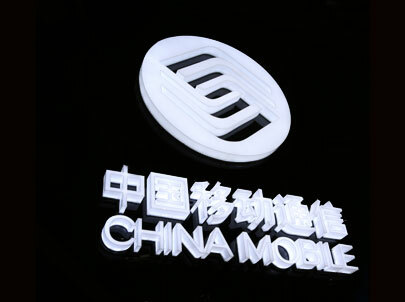 The companies said the deployment of this technology allowed Shanghai Mobile to quickly expand its VoLTE service from hundreds of pre-commercial users to the more than 700,000 subscribers to its 4G network in Shanghai. Optimization of the Shanghai Mobile's VoLTE in Shanghai is underpinned by the platform, which enables end-to-end performance management and assurance across a multi-vendor core and radio network. Intelligence analytics are used to identify issues in real time, such as the setting up of a new mobile device as it joins the network, allowing Shanghai Mobile to resolve the issue and minimize impact to quality of service. Dennis Lorenzin, head of Mobile Networks Network Planning & Optimization at Nokia, said: "This is another important achievement in a long-standing collaboration with China Mobile and its subsidiaries. Working with Shanghai Mobile we have developed a highly competitive end-to-end approach to optimizing VoLTE performance. In future, the Nokia AVA platform will enable us to replicate this with other operators across the globe to ensure the fast roll-out of commercial VoLTE services, ensuring the provision of the highest-quality voice telephony possible." 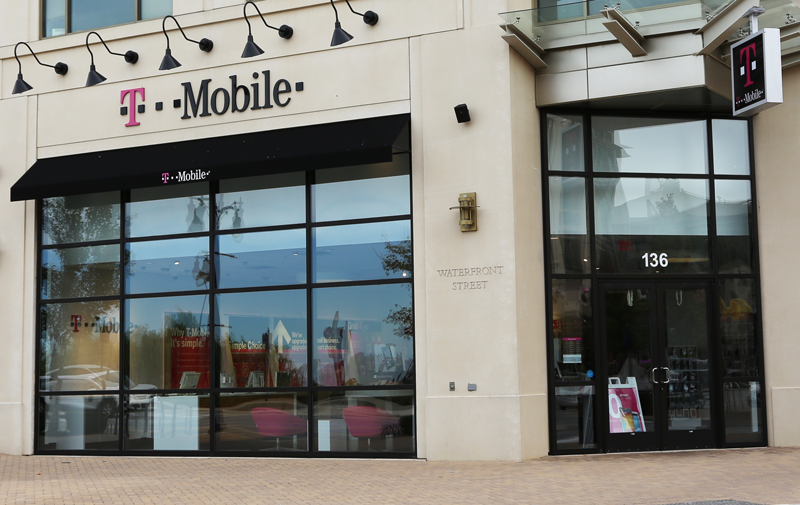 With Ericsson’s support, T-Mobile U.S. has implemented the Enhanced Voice Service (EVS) next-generation audio codec, which was standardized in 3GPP for VoLTE/LTE networks. 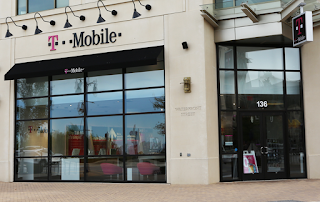 The companies confirmed that T-Mobile provides nationwide EVS support for VoLTE and Wi-Fi calling users, delivering even greater audio quality than current HD voice services, and better call reliability and quality across both T-Mobile’s LTE network and Wi-Fi access. “With Ericsson’s partnership, we’ve been able to bring better voice reliability and higher fidelity calls to T-Mobile customers in more times and places than HD voice alone could provide. We already have three EVS-capable devices in the market and will have seven by the end of the year,” stated Mark McDiarmid, Vice President Radio Network Engineering and Development at T-Mobile. 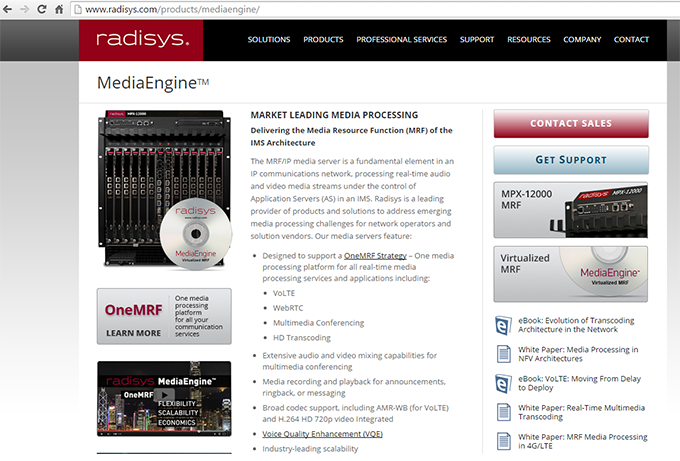 Radisys has added Ultra HD Enhanced Voice Services (EVS) audio codec support to its MediaEngine Media Resource Function (MRF). By leveraging the new EVS codec, mobile operators can use less spectrum to deliver HD Audio or can deliver Ultra HD Audio using the same spectrum required for HD Audio. In addition, advanced error resilience built into EVS makes it ideal for VoLTE, delivering the same voice quality as AMR wideband while using less bandwidth – even in the face of up to 3x more packet loss. The company confirmed that it has been working with a leading mobile operator in the deployment of Voice over LTE (VoLTE) to roll out Ultra HD Audio to its subscriber base. Orange confirmed the rollout of VoLTE and WiFi calling across its European footprint. 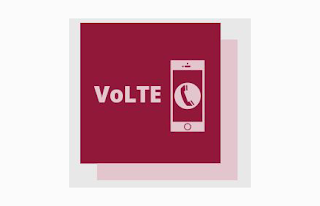 VoLTE will facilitate dramatically reduced connection times (falling from approximately eight to two seconds) and improved simultaneous use of voice and high speed data. VoLTE is already available for Orange customers in Romania. Orange plans to activate VoLTE in its remaining European operations over the course of 2016 and early 2017. WiFi Calling will launch across Orange’s remaining European footprint over the course of 2016 and early 2017. Orange also announces the launch of its first own-branded device to support both technologies – the Orange Neva 80. Retailing at under €200, the smartphone is Orange’s first own-branded ‘category 6’ device. Tt offers 300Mbps download speeds, making it the fastest device in the range and makes use of the very latest Android 6.0 Marshmallow software. In addition, responding to customers’ demands for durable screens, the smartphone will feature Dragontrail glass making it scratch and crack-resistant - also a first for Orange’s own-branded device range. At 5.2 inches with full HD, 143g and Orange’s slimmest own-branded phone ever at 7.6mm, the premium Orange Neva 80 is a sleek addition to the range. It also packs in a Qualcomm Snapdragon 617 octo-core processor, 16 GB of memory and 2G of RAM. And features a high-quality 5 mega pixel front camera with face-detection and 13 mega pixel rear camera. The Orange Neva 80 also comes with NFC and is pre-embedded with Orange Cash in the markets where the service is available including France, Poland and Spain. ZTE Mobile Devices unveiled "mamorino"-- the first VoLTE kids watch. The waterproof and dustproof watch, which was developed for preschool or young children, offers a touch panel and speech recognition. Talk time is approximately 170 minutes (VoLTE), with continuous standby time of approximately 130 hours (4G LTE). KDDI and the Okinawa Cellular Telephone Company plan to launch the product in late March. 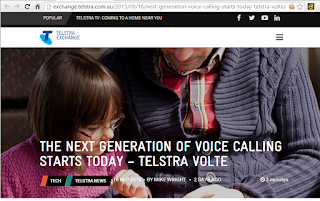 Telstra has enabled Voice-over-LTE (VoLTE) on its commercial network. The carrier says the roll out will be staggered, gradually enabling the full HD capability for different types of calls (ie 4G to 4G, 4G to fixed,4G to 3G etc). The new voice capability will first be enabled for post-paid consumer customers with supported handset. Telstra will then extend VoLTE to business customers and finally to prepaid customers. Telstra describes the VoLTE rollout as one of the largest and most complex changes to voice calling in its network for more than 40 years. Telstra first enabled HD voice capabilities in 2011. Currently, Telstra estimates 70 percent of mobile handsets in Australia support HD and over 30 percent of all mobile calls use HD Voice today. Ooredoo Kuwait has deployed both Network Functions Virtualization (NFV) and IT applications on a single, unified cloud based on the VMware vCloud for NFV platform. Specifically, VMware's professional services team partnered with Ooredoo Kuwait and their VNF vendor Huawei to design and deploy the VMware vCloud for NFV platform and virtual network functions into a test environment in less than three months. VMware said its vCloud for NFV supported the seamless transfer of the virtualized Core IMS (IP Multimedia Subsystem) from test environment to Ooredoo's production IT environment, and enabled Ooredoo to conduct its first Voice-over-LTE (VoLTE) call. The deployment of Ooredoo Kuwait's new Core NFV was fully automated, leveraging VMware vCloud Director and the VMware NSX network virtualization platform. The service is expected to go live in its production service network later this year. "Ooredoo Kuwait's strategy aligns with VMware's One Cloud, Any Application, Any Device™ strategy, and we're delighted to be working with such forward-thinking customers who understand the value of a platform-based deployment strategy for NFV," said David Wright, vice president, Telecommunications and NFV Group, VMware. ZTE will standardize on Radisys’ MediaEngine virtualized Media Resource Function (vMRF) as the media processing solution for its Value-added Services (VAS) and core network offerings in VoLTE, VoWiFi, video and IMS. Solutions based on Radisys’ common media processing platform will help ZTE's customers accelerate the deployment of new interactive HD audio and HD video services. 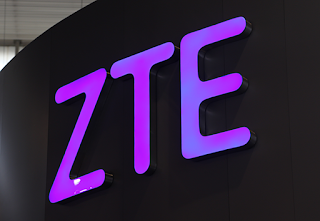 ZTE is a market leader in value-added service deployment, with 20 percent worldwide market share for voicemail that includes major deployments throughout China, India, Latin America and Europe. China Mobile will leverage ZTE’s IMS core and ring-back tones solutions, all powered by Radisys’ virtualized MRF. 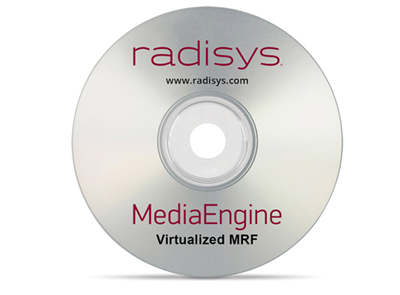 In May 2015, Radisys announced a follow-on order of approximately $11 million for its MediaEngine product from a large Asian carrier in support of its VoLTE network deployment. The order is expected to be fulfilled by Radisys over the course of the second and third quarters of 2015. 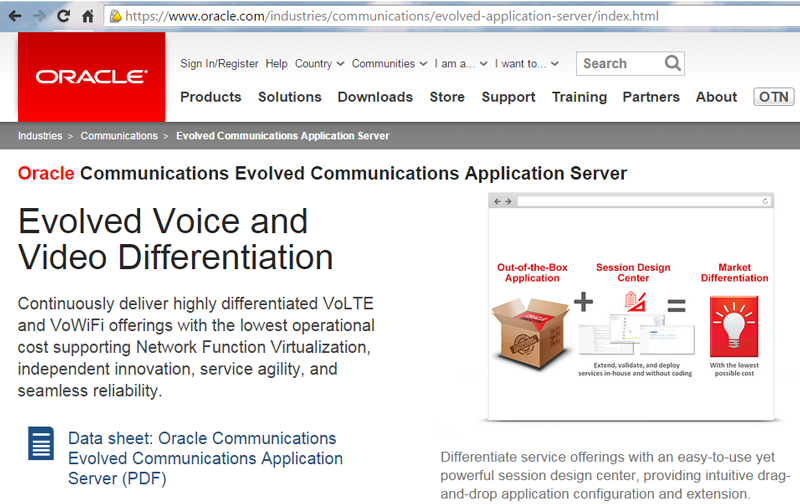 Oracle is introducing an Evolved Communications Application Server for service providers that supports enhanced Single Radio Voice Call Continuity for delivering Voice over LTE (VoLTE) services even when widespread LTE network coverage isn’t available. Communication Service Providers can configure and extend out-of-the-box VoLTE and Voice over Wi-Fi (VoWi-Fi) applications without coding or having to rely on costly vendor customization, enabling them to develop and deliver rich media services more quickly and cost-effectively, while also assuring reliability. The communications application server offers a network function virtualization (NFV)-enabled environment for VoLTE and VoWi-Fi applications, and is designed to permit virtualization and management by a virtual network function (VNF) manager. The solution also provides automated deployment capabilities across testing, staging, and production environments equating to greater service agility and velocity for CSPs. Citing delayed VoLTE projects, Mavenir Systems said it now expects first quarter revenues to be in the range of $27.0 million to $28.5 million, below previously announced guidance range of $39.0 million to $41.0 million. Non-GAAP EPS is expected to be in the range of $(0.47) to $(0.41). Non-GAAP operating loss is expected to be between ($12.5) million and ($10.5) million, also below the previously announced guidance of a non-GAAP loss in the range of $(4.0) million to $(2.3) million.The shortfall in revenue results in non-GAAP gross profit margin percentages in the range of 50% to 53% which is also below the guidance range of 60% to 62%. Additionally, impact from foreign exchange rates was a negative factor. 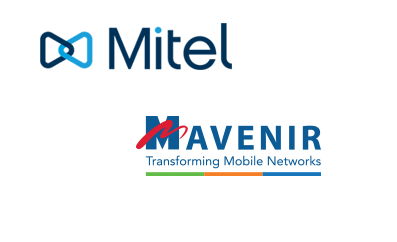 In March, Mitel agreed to acquire Mavenir Systems (NYSE:MVNR) in a cash and stock deal valued at approximately $560 millionMitel specializes in enterprise and mobile IP unified communications. Mavenir prrovides software-based mobile networking solutions, including a portfolio of voice/video, messaging and mobile core products that include IP Multimedia Subsystem (IMS), Evolved Packet Core (EPC) and Session Border Controllers (SBCs). 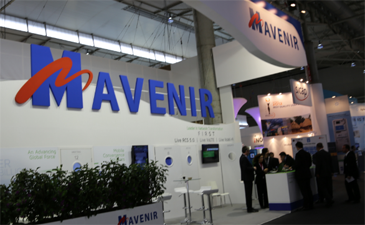 Mavenir was the supplier for the world’s first live network deployments of Voice over LTE (VoLTE) and RCS5 with MetroPCS (now T-Mobile); the first mobile network deployment of IMS-based VoWi-Fi (Wi-Fi calling) with T-Mobile US; and the first implementation of Virtualized RCSe with Deutsche Telekom. Vodafone Germany has launched VoLTE using Mavenir Systems' VoLTE application solution. Vodafone Germany’s VoLTE implementation includes complex integration with the traditional 3G network using eSR-VCC mobility procedures, and broad interoperability with the rapidly expanding VoLTE device ecosystem. Mavenir’s virtualized VoLTE application solution consists of its IMS Telephony Application Server (TAS), Application Gateway (AGW) and Media Resource Function (MRF), which are easily and flexibly deployed on Vodafone’s NFV and SDN strategy, Telco over Cloud.